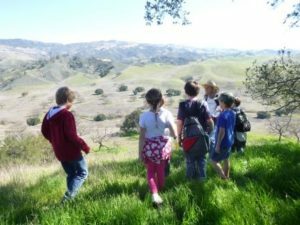 The 2nd NatureTrack Film Festival (NTFF) will present seven US film premieres when it returns to Los Olivos March 22 – 24. The seven films will introduce audiences to locations and filmmakers representing Spain, Malaysia, South Africa, India, Iceland, Ithica, Georgia, and our own Santa Ynez Valley. 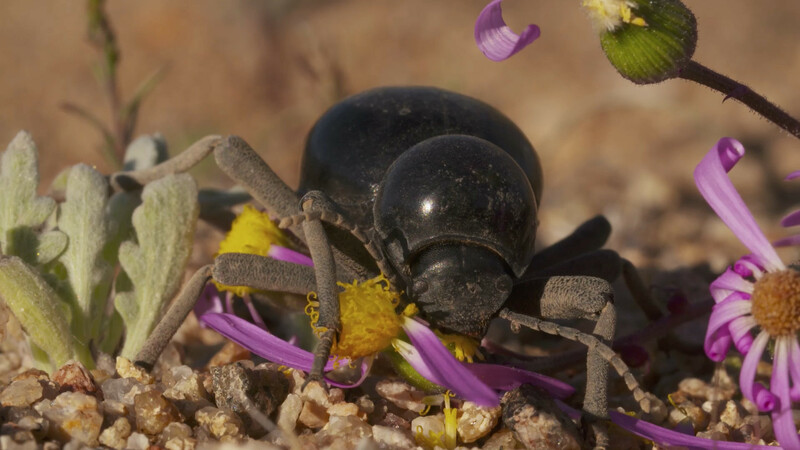 These seven US premieres will screen at the NTFF along with 50 more international films in the categories of Adventure, Animation, Biography, Conservation, Kids Connecting with Nature, Scenic, Student, and Outdoors & Out of Bounds. Curiosity is a tender look at an elderly woman reflecting on her lifelong love of the river she has fly-fished since she was a young girl. 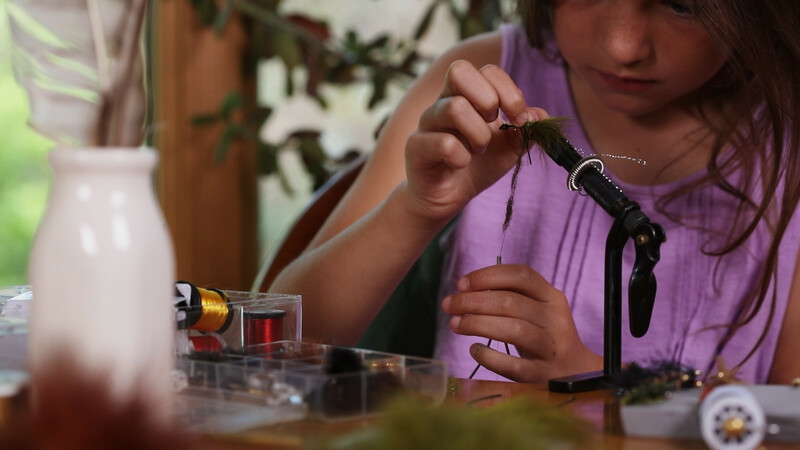 Her thoughtful narration accompanies close-ups of her tying her own flies, while she thinks about how she has passed on her curiosity, and love for the outdoors, to the next generation. The Malaysian Snake Guardian by director Manuel Coronado Acevedo will bring audiences uncomfortably close to both the harmless and the deadly snakes on the Malaysian archipelago of Langkawi. Traveling through a rainforest with the World Champion in Snake Handling, the film takes us deep into a jungle teeming with wild creatures like massive Pythons and venomous Cobras. Rooted: The Rock Splitter by director Barend van der Watt looks at the Namaqua Rock Fig Tree in South Africa. This hardy tree is the ultimate survivor, able to withstand unforgiving conditions in a landscape facing ever rising temperatures and less and less rainfall every year. Not even stone can stand in its way as the aggressive root system plunges deep into the earth in search of water, while its cervices and branches shelter a diversity of species. The Last King of India follows director Adam Thorn as he searches for members of the last surviving population of Asiatic Lions in India. 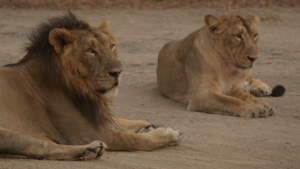 Though the country is home to the largest number of tigers on the planet, only a very few lions reside in a small forest in northwest India. The Australian Thorn is an amusing character who swaggers through the jungle like a cross between Crocodile Dundee and the late Steve Irwin before he finally finds India’s elusive and endangered lions. 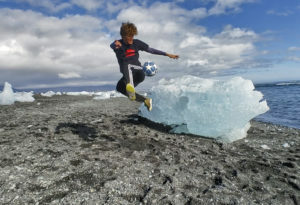 Natural Flow directed by local Santa Ynez Valley teenager, Boston Jade Fitzpatrick, is a fascinating look at the way being out in nature relaxes and informs the “natural flow” required to pull off the amazing stunts Boston accomplishes with a soccer ball. Boston is one of the top two “hybrid” soccer freestylers in the US! All soccer moms, dads and kids will want to see the amazing tricks Boston pulls off in his debut film. The Tree Farmer by director Jeremy Roberts introduces viewers to Reese Thompson who grows trees for a living. But it’s the wild parts of his plantation which make up the heart of his work. 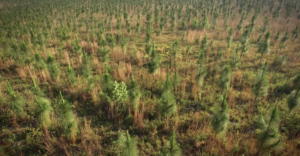 The film follows Reese through the backwoods of Georgia to find the federally listed Indigo Snake and the Gopher Tortoise, and to learn why he wants to set all the trees on fire. 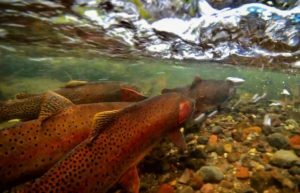 Voice of a River from student filmmaker Ashley Siana depicts the ecology and identity of the Yellowstone River in a meditative narration and guided tour “voiced” and conducted by the breathtaking river itself. Gorgeously shot and creatively presented, Voice of a River ripples on after the closing credits.